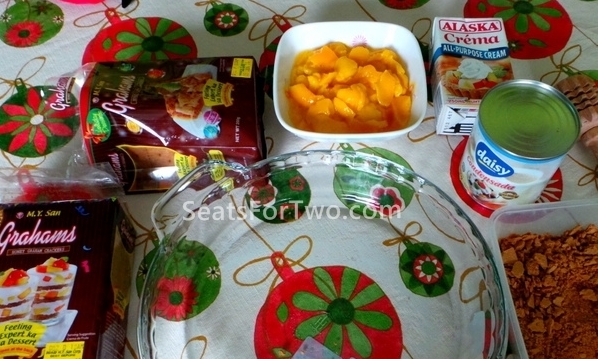 Christmas is not yet over; at least in our residence as wifey Marjorie surprised me with her Mango Tiramisu Graham Recipe even if the new year was a week over. But hey, Chinese New Year is just around the corner so the Mango Tiramisu Graham dessert is not out of season just yet. Perhaps it’s even perfect for the upcoming Valentine’s Day as well! Needless to say, wifey’s Graham Mango Tiramisu was outstanding specially when frozen. Check out the ingredients she used in preparing them. Do you have special ingredients that you use in addition for your own dessert recipe or have you reviewed one before? Share it with us in the comment section below. 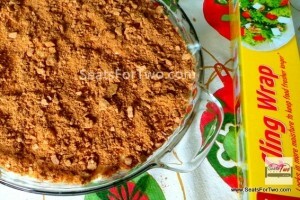 Without further adieu, here is the pinoy recipe of my new found favorite Mango Tiramisu Graham cake for all occasions! Slice mango and remove the seed. 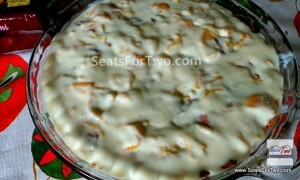 Scoop and whip the chilled cream and mix w/ condensed milk then add sliced or scoops of mangoes. 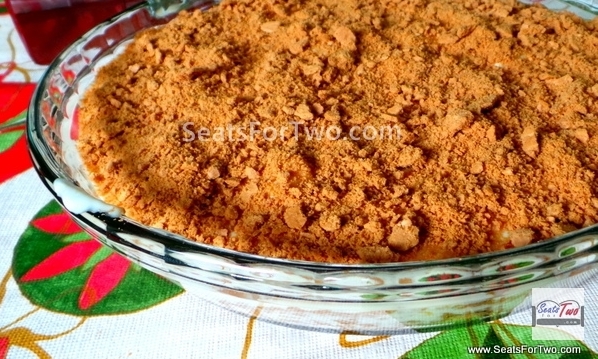 Cover the bottom of a round dish with crushed Graham, pour the mixture on top. Repeat the process to make two or three layers. You may end the layer with cream and mangoes or just crushed Graham. Cover with Glad Cling Wrap and chill for two hours or more. Frozen Mango Tiramisu is preferred. Plate triangle or square slices of the cake. 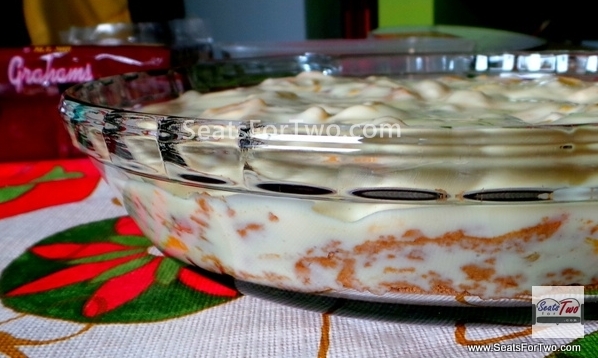 Do you have a similar Mango Tiramisu Graham recipe or do you have a variation? Share it us in the comment section below! 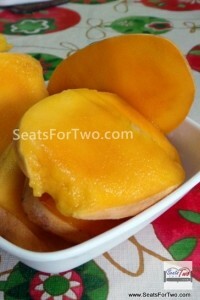 More recipes to come so follow our updates in your email by subscribing to Seats For Two. looking forward to that next recipe Marj!